Tyler Smith is the Executive Director of Liberty Springs. He has experience in healthcare administration in two of the nation’s premier healthcare organizations. Mr. Smith also has experience creating and implementing improvement initiatives as a strategy and change consultant within a number of healthcare organizations. Mr. Smith earned both a Master of Healthcare Administration and Master of Business Administration from the University of Minnesota and a bachelor’s degree from Brigham Young University. He is also a CPA. Mr. Smith actively participates in the community and the Boy Scouts of America. He enjoys summer and winter sports, music, and all that the Rocky Mountains has to offer. He believes these activities are vital in helping young men unplug from excessive technology use and return to a more balanced and rewarding lifestyle. He is married and has four children. Rob Jarrett attended UC Santa Barbara, graduating with a bachelor’s degree in Linguistics with an emphasis in semantics and English grammar. Most recently Rob spent 5 years as the director of admissions and parent communications for a treatment program in Hawaii and was responsible for developing many of their systems and procedures as they grew into a large and successful program with an excellent reputation and hundreds of grateful families. Rob lives in San Jose, California with his wife and three children. They are very involved in the homeschooling community and are currently on the board of a non-profit homeschooling tutoring program where they are instructors as well. Rob has spent a lifetime of backpacking and minimalist traveling and also enjoys Caribbean hand drumming and supporting and participating in Native American rituals and ceremonies. He attributes much of his balance and success to these practices and the discipline that they require. Rob prides himself on his responsiveness and customer service and is always just a phone call away. Dr. Matthew Hedelius is the Director of Clinical Training for Liberty Springs. He holds an MSW degree in clinical social work and a Doctor of Psychology Degree. He is licensed as a Clinical Social Worker in the state of Utah and has experience in treating individuals in inpatient and outpatient settings. Dr. Hedelius’ specialization is in the treatment of addictive and trauma disorders, particularly in the areas of biofeedback and neurofeedback treatment. He loves teaching patients about the brain and identifying how to use this knowledge to facilitate healing. Dr. Hedelius is a member of the Society for the Advancement of Sexual Health and has co-authored and presented on a international basis on the area of sexual compulsivity. Dr. Hedelius has co-authored and presented extensively on an international basis in the area of addictive behavior. Dr. Hedelius is married and has nine children. 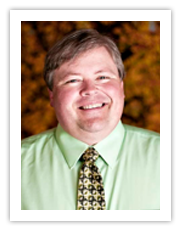 Dr. A. Todd Freestone has been performing clinical work for 13 years and is the Clinical Director for Liberty Springs. 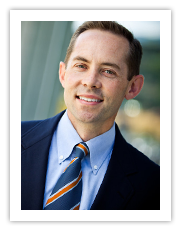 He has extensive experience in treating addictive disorders in outpatient, inpatient and residential settings. Dr. Freestone is a Board Certified Diplomat in Clinical Social Work, and holds a Doctor of Psychology Degree. Dr. Freestone specializes in addictive and compulsive disorders as well as other general mental health disorders. He is also a public speaker and trainer for the Cognitive-Neural Restructuring Therapy Treatment Mode and has co-authored on the same subject. Dr. Freestone is married and has 5 children. Scott Williams comes to us with 20 years of leadership experience in working with young men. As a platoon Sergeant in the United States Army, Mr. Williams has led many men to camp, fight, and survive in extreme environments such as Alaskan arctic, the California desert, and the mountains of Colorado. Actively involved in the Boy Scouts of America, he has mentored many young men to earn their Eagle Scout award while enabling them to grow and discover their potential; eventually, fully enjoying outdoor activities. Mr. Williams is an avid horseback rider, hiker, camper, and skier. Mr. Williams’ work experience includes safety training for employees, working with a safety committee to monitor and improve safety behavior, keeping current with the state and federal labor laws, and procuring protective equipment for the many job tasks in a chemical environment. Mr. Williams holds a Bachelor of Science degree in Occupational Health and Safety from Century University. He is retired from the United States Army. Mr. Williams is married and has five children.